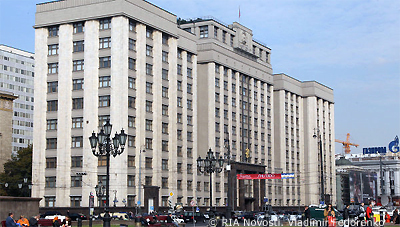 Charities are no longer to be classified as “foreign agents” if they receive money from abroad, according to a new amendment approved by the Russian State Duma. Non-governmental organizations (NGOs) working in areas such as art and culture will also be exempt from the “foreign agent” label, the Interfax news agency reported Tuesday. Under laws passed in 2012, any group which receives funding from abroad and is engaged in a broadly-interpreted definition of “political activity” is legally required to identify itself as a “foreign agent” in all published material. The law has been widely criticized by activists, who argue that it damages Russia’s already fragile civil society. Several organizations have refused to use the label, while others have given up foreign funding to avoid it. “With this amendment, these organizations can receive money from abroad without fear that their work will be somehow construed as political,” said the head of the Public and Religious Associations Committee, Yaroslav Nilov. The lawmaker was quick to stress that safeguards would be put in place to ensure charities excluded from the law did not begin to engage in political work. The term “foreign agent” dates back to the Soviet era, when it was used to refer to state enemies or spies.